1 September 2013 until 31 August 2017. This website remains active and can be consulted as an archive of the process and outcomes of the project. 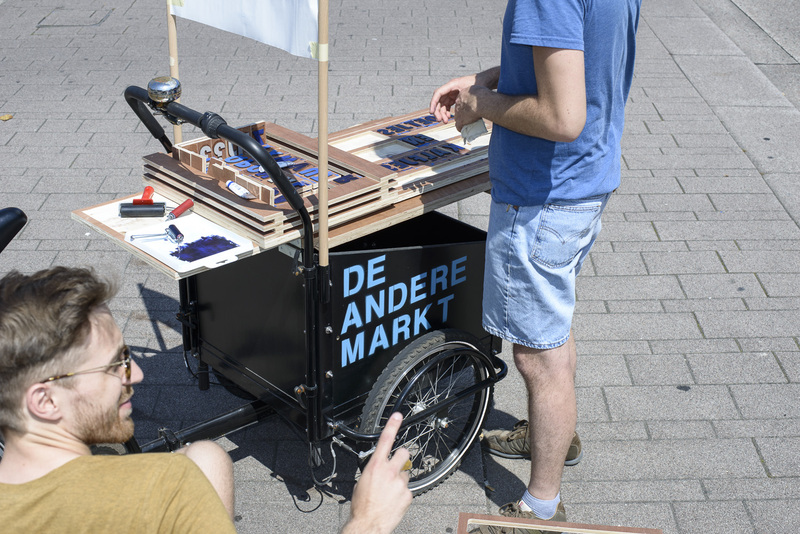 During Dutch Design Week 2015 (17th – 25th October), research associate Naomi Bueno de Mesquita at Design Academy Eindhoven (TRADERS researcher in Multiple Performative Mapping), invites you to participate in the cartographic exploration What Moves You? 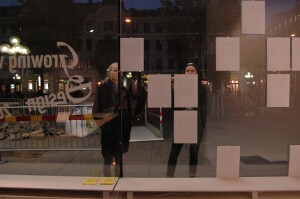 A collective realtime mapping of the transformation of the city during Eindhoven’s Dutch Design Week. 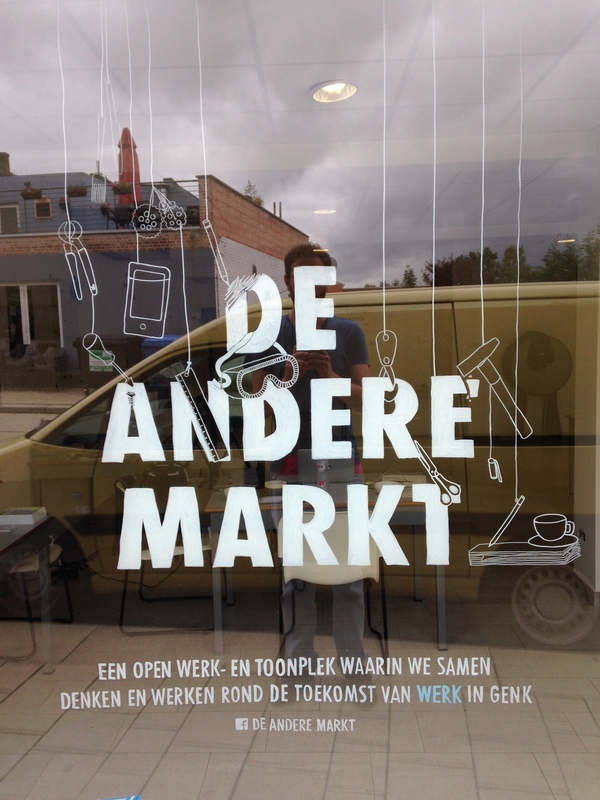 DDW’s visitors – YOU! 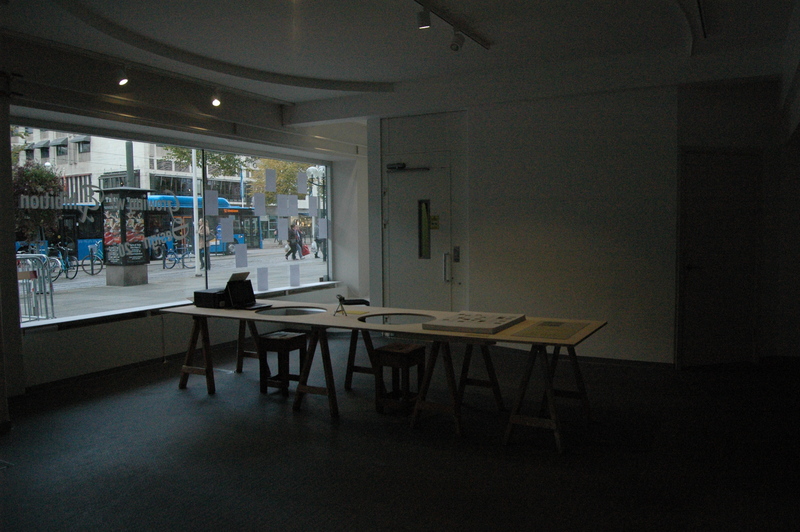 – collectively become the authors/ creators of a map that shows the feelings that circulate during DDW. 1. Visitors of DDW are asked to use a web-application on their mobile phone (ddw.performativemapping.net) and designate a feeling to a DDW location. 2. A picture is taken of the ‘thing (object, place, person,…) that triggered this emotion. 3. The data is uploaded and directly visible. The realtime map demonstrates the areas of Eindhoven (comparing the different venues of DDW) that are more or less emotionally laden, what emotions are felt where, and why. For example, many pictures of the same object tell us that the work in question triggers an emotion that is felt collectively, but in case a work has many different adjectives linked to it, it tells us that people experience different emotions that are all triggered by the same work. During Dutch Design Week Naomi walked in Eindhoven between the different venues with a measuring wheel on which a projector is mounted, this way; doubling as presentation device. The measuring wheel is to be seen as a metaphor for the way in which Naomi measured and (asked visitors to) map(ped) feelings that circulate during Dutch Design Week. 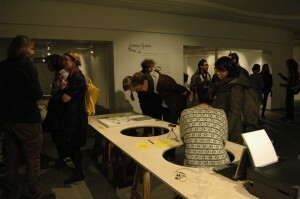 The object is designed by Karianne Rygh and Rinze Borm. It makes the digital component of this research tangible and part of a performance in which visitors of DDW are triggered to participate. Throughout the week, the realtime map was projected on the urban fabric in different places in the city. Naomi carried a device which tracked her movement so that people could find her anytime of the week if they wanted to ask her for an update of the map or to discuss the research. Naomi carries a tracking device with her with which the walked tracks can be followed via a website. 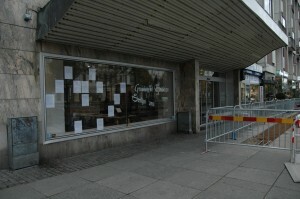 Visitors can visit her anywhere to get an update on the map or to discuss the research (such as here under the bridge). The Office for Public Play installed its office at A-venue during the Growing with Design exhibition. The Archive for Public Play aims to generate knowledge on ‘free play’ — the unstructured play that children initiate themselves, without control or supervision by adults. Besides treasuring free play as cultural heritage, this collection of personal stories, photos and open instructions wants to reactivate public space through re-enacting contributions of the archive. This installation invites you to contribute to the archive by memorising and narrating your favourite free play activities as child, or from when you were a child. The archive is inspired by the painting “Children’s Games” by Pieter Bruegel the Elder (1560). 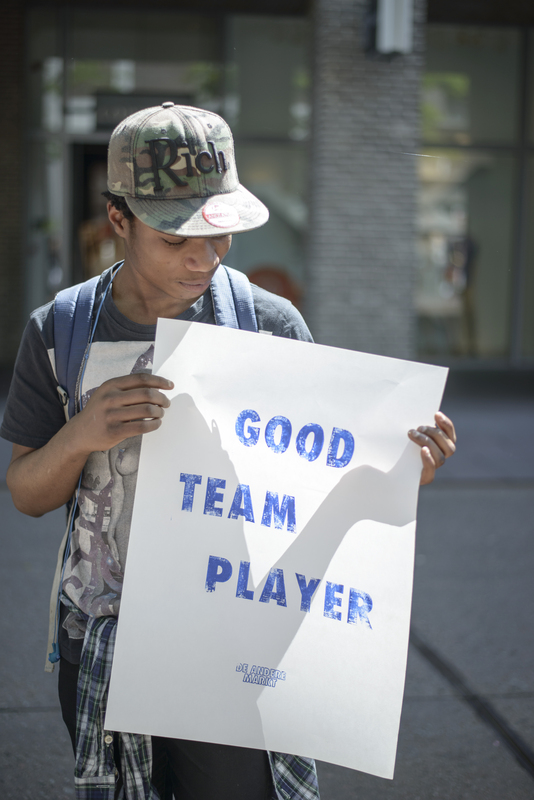 This work is part of the Office for Public Play, a research platform exploring what influence free play can have on the culture, shape and functioning of the city and its public spaces. 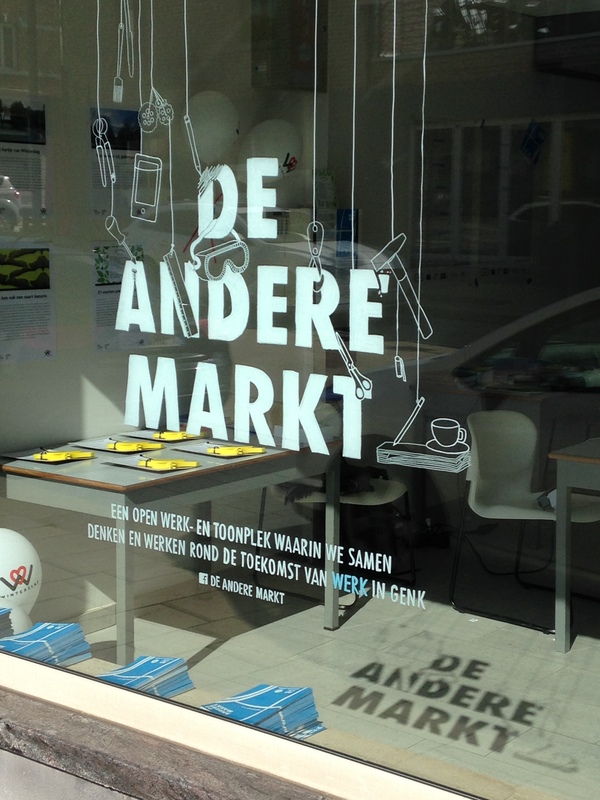 De Andere Markt (DAM) is the main case study for the approach of interventions. DAM is a project where we are combining a site based studio with ephemeral interventionist strategies to discuss and further develop future ideas on work in Genk. 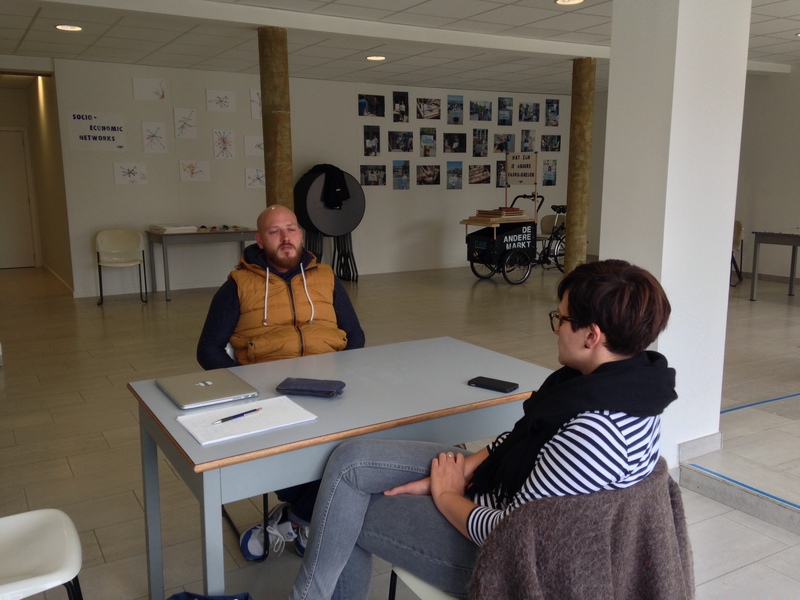 The interventions started to take place the 5th of June and will run throughout one whole year, in the context of the city-scale participatory project G360. 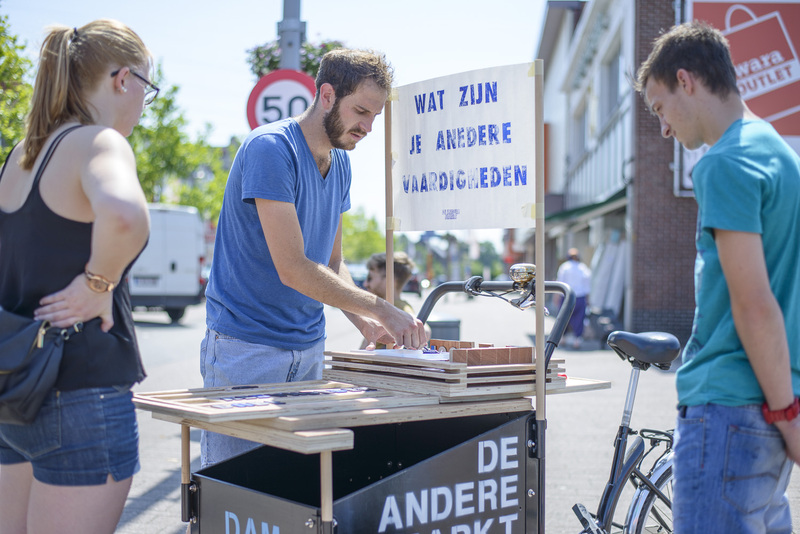 They make use of a cargo bike with a low-tech printing press incorporated; this is used to go to the different neighborhoods of Genk and print posters for people that visualize their skills. The project is reported in its own blog and Facebook page. 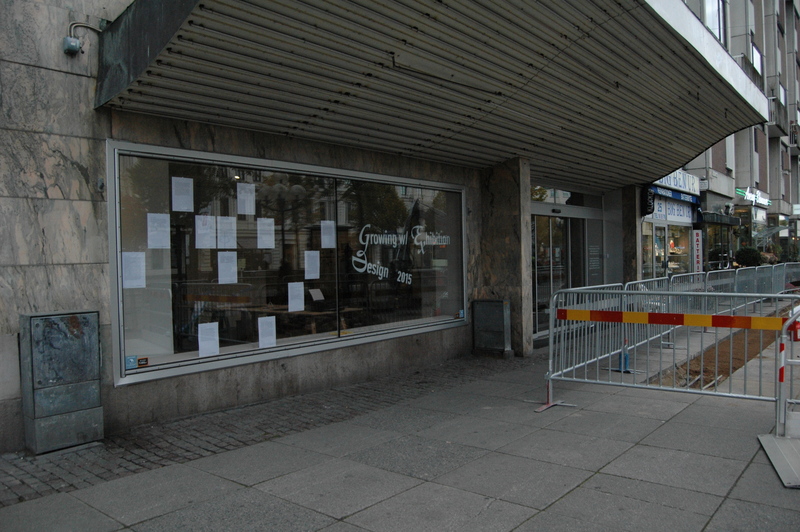 The 19th of September we inaugurated our own shopfront, which complements the project and allows to have ‘rooting’ in a specific community. 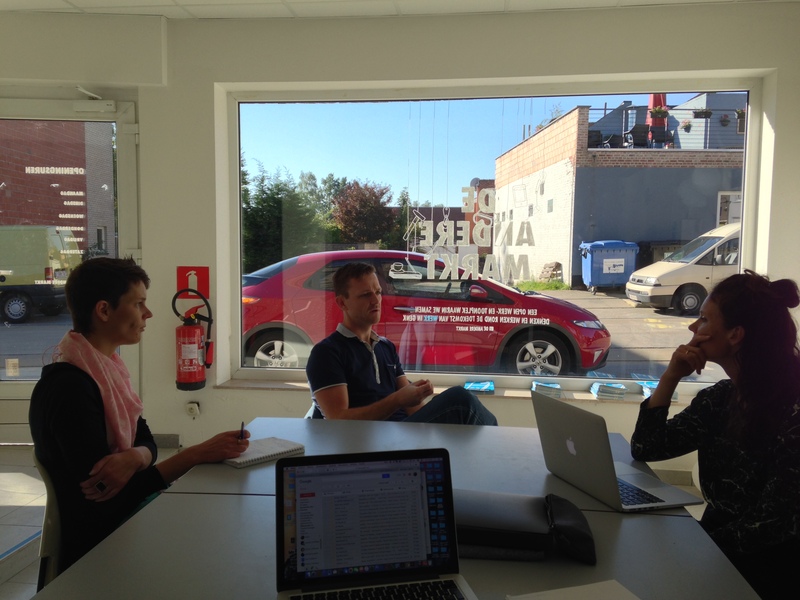 The space will be our working place, with regular opening ours, but will also serve as context for all the activities organized for the project. On Friday evening 25 September, the PeriFeria Festival welcomes État des Lieux for an immersive intervention on theory and urbanism. How can philosophers, sociologists and other thinkers shed light on our understanding of the spatial and societal issues in the Northern periphery of Brussels? 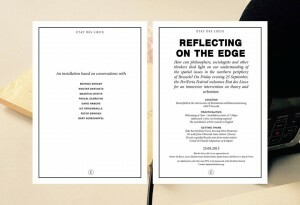 État des Lieux invites you for a unique interaction between theory and place. An installation based on conversations with sociologist Mathieu Berger, urbanist Wouter Bervoets, spatial researcher David Hamers, political scientist and philosopher Maarten Crivits, cultural philosopher Bart Verschaffel, political and social scientist Pascal Debruyne, artist Ief Spincemaille and architect Peter Swinnen will be presented on site. Discover more about design for and with children, through both theory and practice. We offer you the chance to learn from – and network with – colleagues, peers and experts in fields related to our subject. There will be contributions from both practitioners and academics. 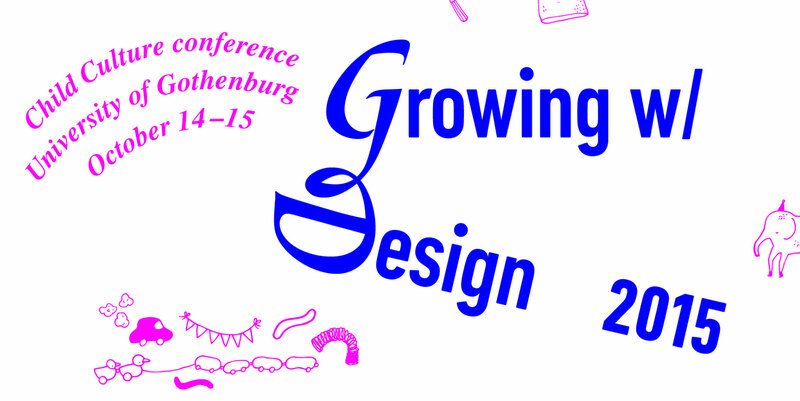 Growing With Design is an unique opportunity to hear leading researchers, designers, artists and more within the important field of child culture design; as they share their ideas, ask questions and give answers, voice disagreements, and express their curiosity and playfulness. Over two days of lectures we will explore, discuss, learn and play around interesting questions, theories and thoughts connected to this exciting subject. With: John Wall, Suzanne Osten, Gro Dahle, Helen+Hard, Nils Norman, Björn Dahlström, Febrik, Baupiloten, Lieselotte van Leeuwen, Mathieu Gielen, Designlab S, Annelies Vaneycken. On September 11 Annelies Vaneycken, doctoral student in design will present her ongoing doctoral thesis during a 25% seminar. The focus of the thesis is to investigate if children’s play can be used as a method in participatory art and design processes. “The genesis and ratification by most Western countries of the UN Convention on the Rights of the Child (UNCRC) since the 1990s plead for children’s participation in society, challenging designers to facilitate this process. 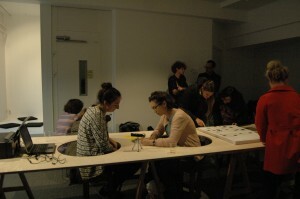 To this date most methodologies for participatory design projects have been designed by adults for adults. 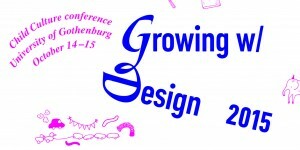 This PhD study addresses designing for and with children. 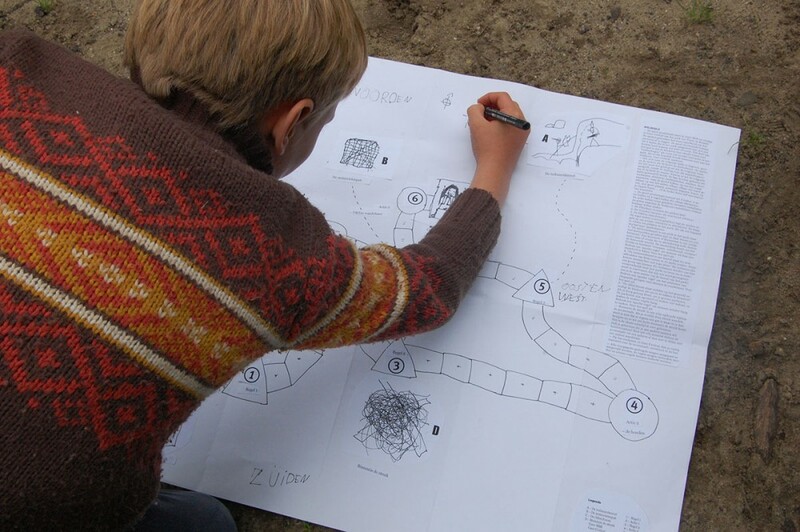 In particular, this PhD study focuses on children as experts in the field of ´free play’, and how this expertise might be turned into methodological frameworks and models for participatory art and design projects/processes in/on public space. This practical based PhD project in Design has two objectives: 1) it aims to develop a methodological framework that enables working with children in participatory design projects/processes in/on public space with a particular focus on free play; and 2) it aims to transfer this knowledge by training other designers working in this context. 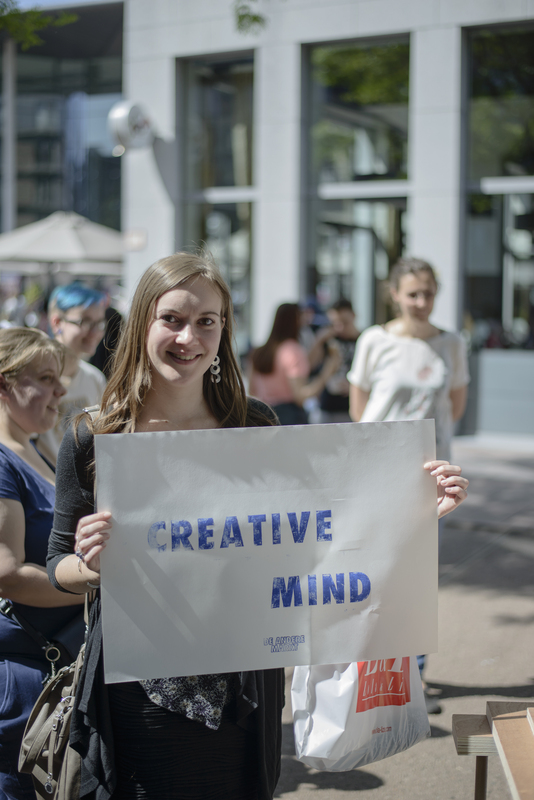 The conference ‘Play Perform Participate’ of the International Society of Intermedial Studies was hosted by the University of Utrecht from 16th – 18th of April 2015. In the panel Performative Cartography (which was chaired by Anne Karin ten Bosch), Naomi Bueno de Mesquita (researcher at Design Academy Eindhoven) together with Sigrid Merx and Liesbeth Groot Nibbelink (both teachers at the Universityy of Utrecht) presented performative mapping as social, educational and aesthetic strategy. In the first part of the lecture they theoretically introduced the notion of performative cartography, addressing the participatory potential of maps and mapping tools as cartographic media. In the second part they discussed the possible meaning and implications of ‘erasing the city’ with the app Wegwandelen. Performative cartography alludes to the performative turn in cartographic theory, where maps are studied as (interactive) performances and as products of co-creative relationships between maps and users. In this panel Sigrid, Naomi and Liesbeth focused on different uses of maps and practices of mapping: cartography as aesthetic, educational, and social strategy. The panel built on a workshop on collective digital mapping that conference participants could participate in during the conference. 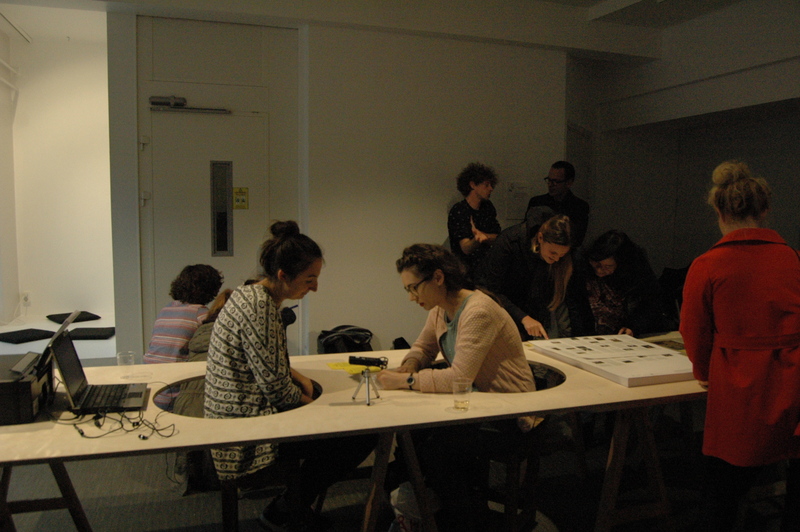 Both the output of the workshop and the experiences of the participants would form the material and collective point of reference from which the panelists and their audience started talking about performative cartography. “All the world is a stage” is no longer a metaphor, but a reality itself. Today we witness a multiplication of staged realities. We are between realities. How do we cope with this complex reality? What strategies do we use? And how do these play out in urban public space? Within​ ​the context of the theatricalisation of every day life, public space can be observed and studied as scenography. The multiplication of staged and imagined realities can be most intensely felt in urban public space where layers of tourism, entertainment, consumption,​ ​art, work, leisure, history, policies, and politics come together. It is precisely here where we can see how people live between realities and how they cope with its complexity. The Dutch project (Between Realities) for the Prague Quadrennial of Performance Design and Space 2015, distinguishes​ ​between five different coping strategies: sheltering, fleeing, fighting, negotiating, surrendering. Each of these strategies/practices entails a particular attitude towards reality. Either a movement away from reality (hide or shelter), an engagement with​ ​reality (fight or negotiate) or a plunge in reality (surrender). For this Quadrennial, Naomi Bueno de Mesquita (research associate at Design Academy Eindhoven) explored different mapping approaches, with which she represented the Dutch entry for the Spaces exhibition. The approaches were covered by two projects: Collective Mapping of Public Space and Audio Story Mapping. The exploration took place in Prague from 18th until 26th of June 2015 and was presented to the public on the 27th of June at the Clam Gallas Palace lecture hall, both by Naomi Bueno de Mesquita and Sigrid Merx (curator). 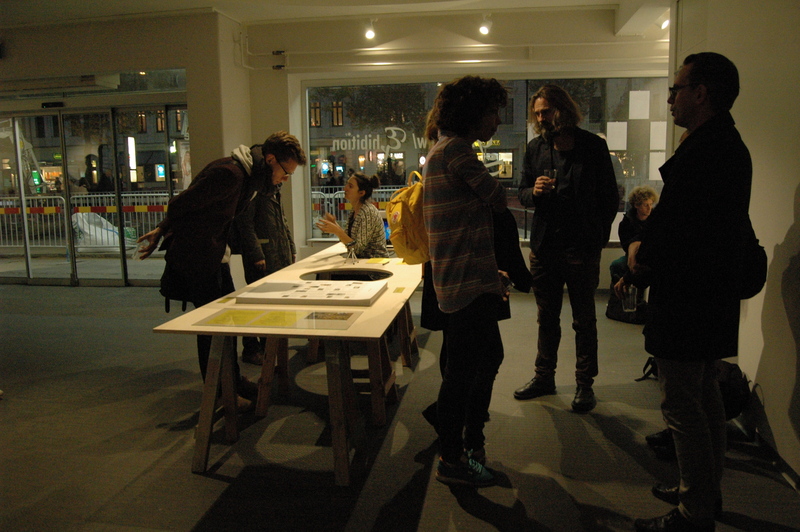 The Netherlands received the gold medal for best curatorial concept of this quadrennial.